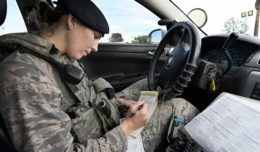 JOINT BASE SAN ANTONIO-RANDOLPH, Texas — The Air Force has created a new leadership development course designed specifically for GS-12 and GS-13 civilians and equivalent pay schedules. The Air Force will undertake new measures to increase opportunities for civilians at the GS-12 and 13 levels to participate in professional development programs, using an additional $1 million in funding dedicated specifically to civilian developmental education opportunities. “These efforts recognize that to remain the world’s best Air Force, we must compete for, develop and retain talent, skill and expertise in new and creative ways,” said Daniel Sitterly, the acting assistant secretary of the Air Force for Manpower and Reserve affairs. The Air Force continually assesses its development programs to ensure they keep pace with the needs of the workforce. 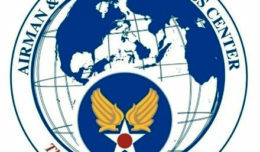 According to Air Force officials, analysis of the civilian continuum of learning highlighted a shortfall in deliberate development at the GS-12 and 13 levels and equivalent pay schedules. The new Organizational Leader Course will build upon leadership skills obtained at previous courses to grow and develop today’s civilians into tomorrow’s leaders and supervisors. “We will continue working to ensure our Air Force is an employer of choice for our nation’s best and brightest,” Sitterly said. Supervisors will be encouraged to advertise and promote these opportunities, and applications will be accepted through myPers. Initially, a targeted group will make up the first six classes of the one-week in-resident course, with the first class starting May 2017. The Organizational Leader Course will later be incorporated into the 2018 civilian developmental education process with the 2018 program information available in March.